In an effort to better promote their railroad, Katy officials agreed to Crush’s unusual suggestion of crashing two retired train engines. The locomotives, Old No. 999, painted bright green, and Old No. 1001, painted a vibrant red, were displayed prominently during tours throughout the state and the “Monster Crash” was advertised all the summer of 1896. The event was free, with the exception of the train fare to deliver attendees to Crush, which cost $2 for a ticket from anywhere within the state. George Crush chose a shallow valley fifteen miles north of Waco for the location, and in early September, five hundred workmen laid four miles of track afor the collision run, built a grandstand for attendees, three speaker's stands, two telegraph offices, a stand for reporters, and a bandstand. A restaurant was set up in a borrowed Ringling Brothers circus tent, and a huge carnival midway with dozens of medicine shows, game booths, and lemonade and soft-drink stands were built. Lastly, a special depot with a platform 2,100 feet long was constructed along with a painted sign, informing passengers that they had arrived at Crush, Texas. Twenty thousand people were expected, but by early afternoon on September 15, somewhere between 40-50,000 had arrived. At 5:00 P.M., engines No. 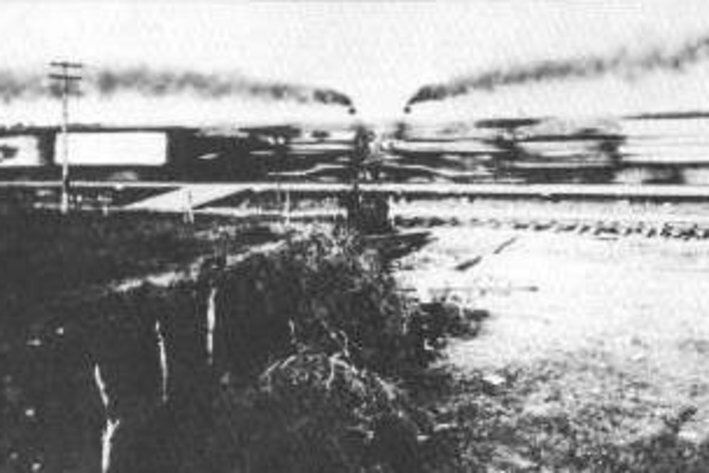 999 and 1001 backed off to opposite ends of the four-mile track. George Crush trotted a white horse to the center of the track and raised his white hat. After a long pause, he whipped it sharply down. 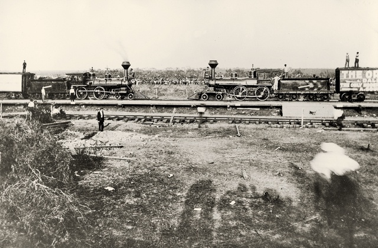 A huge cheer rose from the crowd, and the locomotives lunged forward, whistles shrieking as they barreled toward each other at a speed of 45 mph. In a thunderous, grinding crash, the trains collided. The two locomotives reared up like wild stallions as they rammed together. 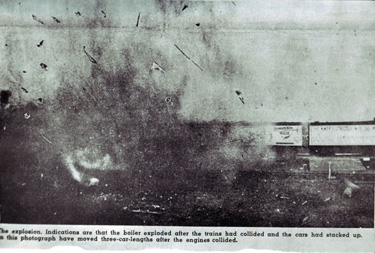 Contrary to predictions, both boilers shattered, filling the air with hot steam, smoke, and pieces of flying metal. Spectators turned and ran in blind panic. In the end, several people were killed and at least six others were injured seriously by the flying debris. I hope you enjoyed the story of the Crash at Crush. What’s the most interesting historical event you’ve read about? 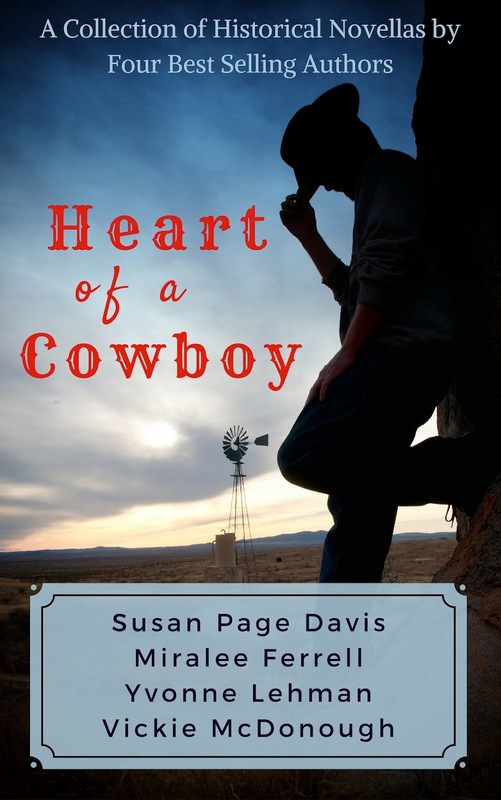 Now available: Heart of a Cowboy, a collection of four novellas by best-selling Christian fiction authors. 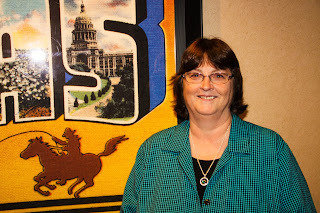 Ellen Stewart despises Lance Garrett. If not for him dashing into Isabelle’s life and stealing her heart and filling her head with his dreams, her little sister would still be alive and safe at home. When she receives Lance’s letter requesting help, Ellen rushes to Silver Springs, intent on taking charge of her young niece. A rugged ranch is no place for a motherless baby. But when she realizes the depth of Lance’s grief, she can’t leave him alone. Though everything within her wants to flee back to the big city, something makes her stay. Tessa needs her father, for one—and he needs her. Ellen knows what it’s like to lose all she’d dreamed of. When local church members make a stink about Ellen living at Lance’s ranch, they are forced to marry. Ellen didn’t want a hand-me-down husband, but could their marriage be God’s will for them both? That's quite a story! Were there engineers on board? I'm trying to figure out who ran the trains into each other. There were engineers at the start, but at a certain point after they had the trains moving fast, they both jumped out. Great little story, Vickie, though unfortunate that two people were killed. (It's sad that their names aren't even remembered publicly.) Thanks for sharing! That's true, Linore. I found the story strange but interesting. I imagine it was quite a thing to see in that day and time. Wow, what an amazing story...so sad about the people being killed. I'm sure it was quite spectacular to watch.